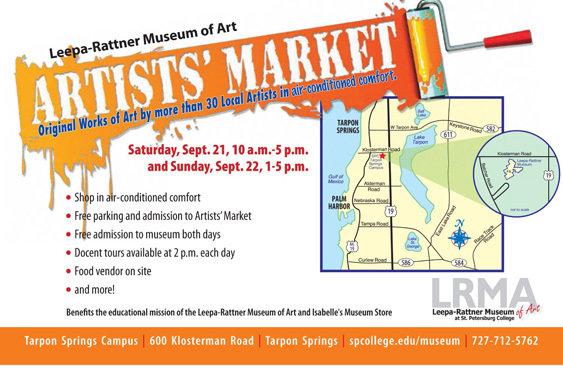 My work as well as the work of 30 other Florida artists will be featured at the Leepa-Rattner Museum Artists’ Market. It is Sept. 21 & 22, 2013 – come out if you can – it will be inside and air conditioned!! Oh, and it’s free!